For more information, please call Kevin Dooley at (614) 392-6039 or email at kdooley@marchofdimes.org. NOMINATIONS FOR THE 2019 OHIO NURSE OF THE YEAR AWARDS WILL BE ACCEPTED APRIL 1 - JUNE 30. Ohio Nurse of the Year Awards is an awards event and fundraiser that brings together the health care community to recognize nursing excellence and achievements in research, education, quality patient care, innovation and leadership. Nominations will be accepted April 1 - June 30, 2019. All nominees will invited to complete an application for consideration. All applications will be scored three times against a rubric by a committee of nurse leaders from across the state. On Friday, November 1, 2019 March of Dimes will present the twenty-five category winners at a luncheon at the Hyatt Regecy Columbus. Nurse Practitioner and Nurse Psychotherapist. transplant coordinators, outpatient diagnostics, parish nurse. Nurses who work in Mental Health and Addictive Services. Nurses actively engaged in the professional practice of case management in any health care setting. Disease Management and Telephonic Nurses Line Nurses. care units whose care and engagement consistently demonstrates excellence in critical care nursing. the principles of diversity and inclusion, and demonstrably promotes diversity within the field of nursing. Educators from Universities, Junior Colleges, and Community Schools. Nurses in ED, flight, ambulance, pre-hospital, telephone triage and Peds ER. cardiovascular nursing dependent upon specialty. All home health care settings. Nursing in inpatient/outpatient hospice settings and palliative care. Skilled Nursing Facilities and Acute Rehabilitation Long Term Care Facilities. Chief Nursing Executives, Chief Nursing Officers and Vice President of Nursing. Computer Science and Information Science. Licensed nursing students that are participating in a graduate level program. University based students that have not yet graduated or been licensed. Nurses in oncology settings - adults and pediatrics. Nursery and general pediatric units nurses. prison nurse, public health nurse and community health nurse. Patient Advocate, Patient Safety in the Community and/or Hospital; and nurses in IC/EH. and exemplify outstanding patient care, leadership and professionalism. cath lab and special procedures, dialysis, PTCA Interventional Radiology. Antepartum, Intrapartum, Maternal/Baby Care, Postpartum and Gynecology. Kelly Hancock, executive chief nursing officer for Cleveland Clinic health system, and chief nursing officer for Cleveland Clinic main campus and 2017 event chairperson says, "Thanks to the leadership of our volunteer chairs and committee members, we are honored to present Nurse of the Year events. After months of hard work, these volunteers have taken the event to new heights, honoring more nurses than ever before. March of Dimes and the families we support are grateful for the generosity and effort of the team that made this event possible." March of Dimes celebrates nursing in the most meaningful way, through partnerships with hospitals, health care facilities, organizations, vendors and individuals. Sponsorship opportunities are available at a variety of levels for the 7th Annual Ohio Nurse of the Year Awards. Keeping Ohio Healthy is a statewide initiative designed to help support education in the state of Ohio. Specifically, Keeping Ohio Healthy partners with organizations to provide continuing education opportunities to nurses across the state. The partnership is multi-dimensional and would demonstrate a significant investment by an organization into the education, health and wellness of our communities! 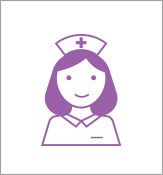 March of Dimes is an accredited continuing education provider and each year we operate the Ohio Nurse of the Year Awards honoring nursing excellence across our great state. The Ohio Nurse of the Year Awards is an ideal platform to help support nursing education. As such, Keeping Ohio Healthy will provide free continuing education for nurses via the March of Dimes Training Institute. By providing access to the Training Institute we can help reinforce and increase the standard of care for patients. Thus, our communities become healthier and your organization can be one of the driving forces behind the program. To learn more about how your organization can support nursing education throughout the state of Ohio please call (614) 392-6039. Every year, 15 million babies are born prematurely worldwide, and 1 million will die before their first birthday. Your gift helps March of Dimes fund research, education, advocacy and programs that help more moms have full-term pregnancies and healthy babies. March of Dimes is proud to honor the 2018 Ohio Nurse of the Year Award winners.